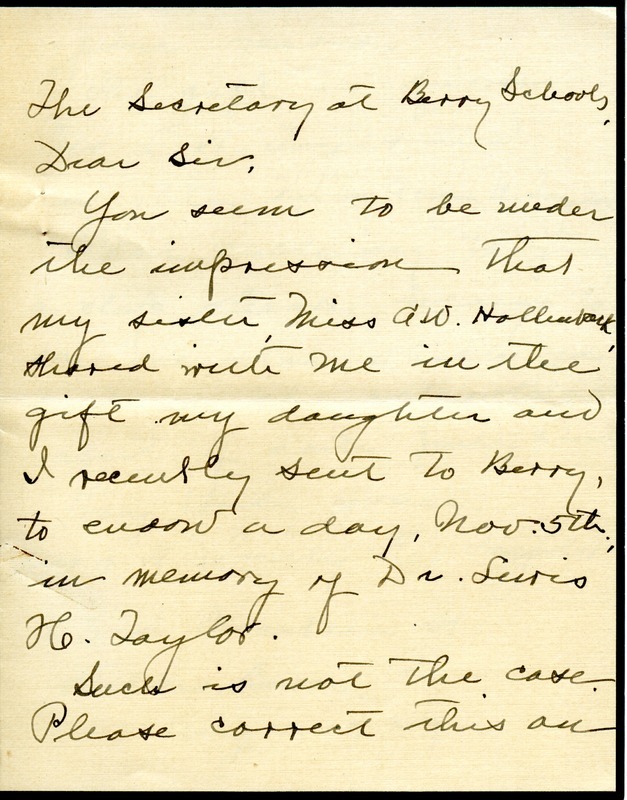 Mrs. Taylor writes to the secretary to inform her that the gift was only from herself and her daughter and had nothing to do with her sister. 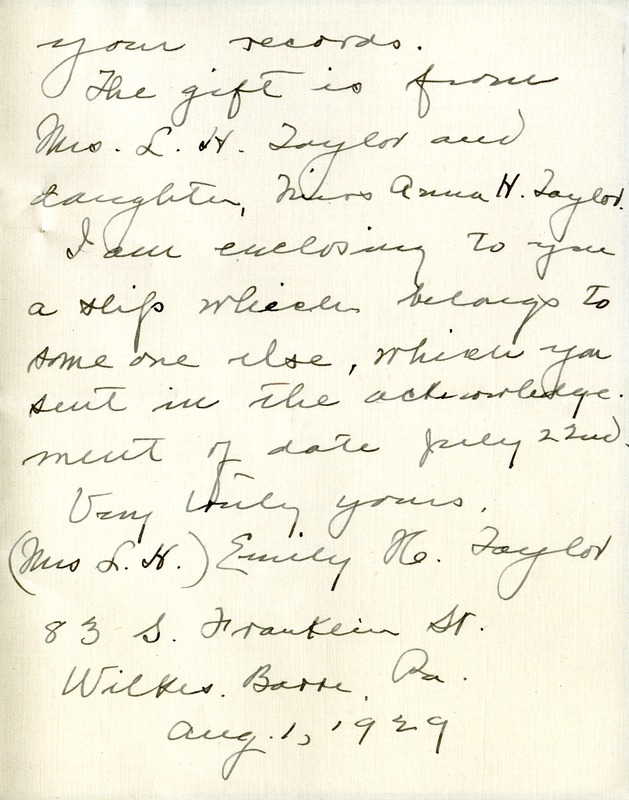 Mrs. Emily N. Taylor, “Letter to The Berry Schools from Mrs. Emily N. Taylor.” Martha Berry Digital Archive. Eds. Schlitz, Stephanie A., Chelsea Risley, et al. Mount Berry: Berry College, 2013. accessed April 20, 2019, https://mbda.berry.edu/items/show/11114.